With xMatters’ new integration with Zapier, you can quickly automate communication processes triggered from Salesforce, Chatter, Slack, Zendesk and hundreds of additional applications. 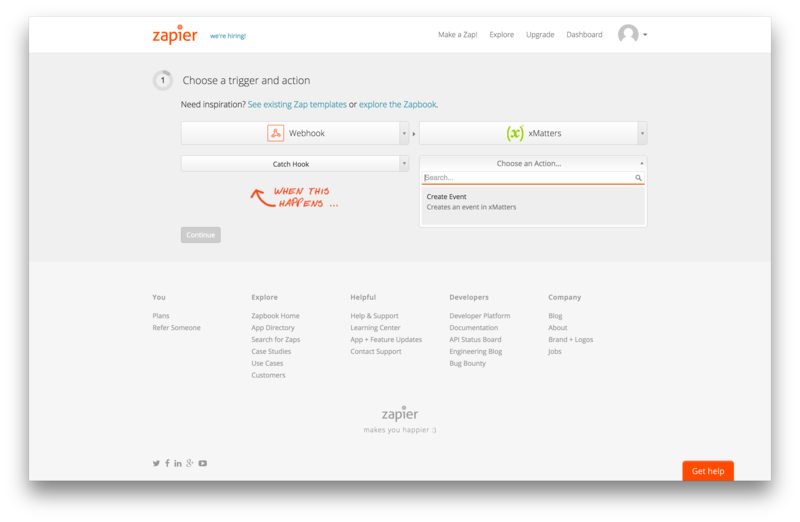 The combination of Zapier and xMatters adds tremendous value to enterprises looking to quickly notify the right person at the right time on the right device. Zapier enables automated tasks between xMatters and 300+ other online apps and enables closed loop notification capabilities to other apps without writing any code. Use any of Zapier’s supported apps as a trigger to create notification events in xMatters. Take actions on any of Zapier’s supported apps when xMatters notification events are created, notifications are delivered or responses are submitted. Get your Zapier account today!